Weed’s name is blunt—not that the Vancouver trio has time to be anything else. 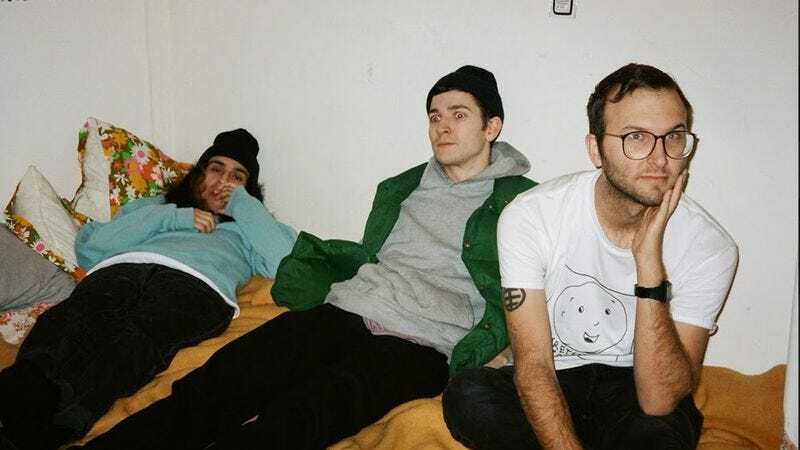 After the release of its upcoming third album Born Wrong Love on the tape-turned-vinyl label Smoking Room and a tour with Bugg in May, the reverb-soaked punks will be calling it a day. The A.V. Club is streaming “Favourite Hate,” the first song from Born Wrong Love that shows the band ending on a high note. Against a thick wall of fuzz, Weed takes the chest-rattling volume of My Bloody Valentine and adapts it to a concise punk song. At times it recalls Hüsker Dü if it kept things slow and little psychedelic, showing that if Weed’s going out, it’s doing it with a bang. Born Wrong Love is out April 28 and pre-orders are available through Smoking Room on both tape and vinyl.